ALDI to open new store in Tucker. Given existing Aldi stores in metro Atlanta measure 17-21,000 square feet, its likely the Northlake location will be of similar size. According to the ALDI real estate website, a potential site for the store must be at least 17,000 square feet. Work on the ALDI is likely to begin after the holidays with a planned opening late in the third quarter of next year. ALDI has opened a number of new freestanding locations in metro Atlanta, but has also taken some "inline" spaces in existing centers. 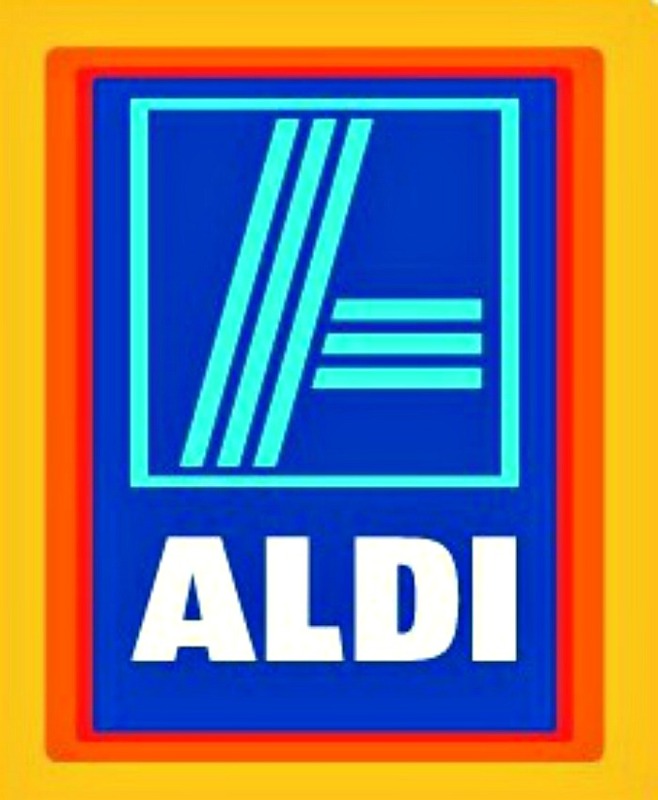 Centers in which ALDI has taken inline space include Cornerstone Square on Roswell Road in Sandy Springs (18,403 sf), East Lake shopping center on Roswell Road in Marietta (18,482 sf), and North Bridges on Jones Bridge Road in Johns Creek (15,658 sf). ALDI also has new stores in the works in Newnan, Peachtree City and Milledgeville. In Peachtree City at McIntosh Village, the store will open in a current roughly 22,000 square foot Office Depot, which is due to close October 24th. In Newnan, ALDI will open on Bullsboro Drive at Newnan Pavilion in a former OfficeMax store. The Newnan ALDI will measure 23,320 square feet. In Milledgeville, ALDI will build a new, freestanding 17,825 square foot store on North Columbia Street. Are you excited for an ALDI coming to Northlake? Where else would you like to see an ALDI open? What other restaurants / retailers would you like to see open in the Northlake / Tucker area? I'd like to see ALDI or Trader Joe's open in the former OfficeMax at Perimeter Place. Perfect location for a smaller grocery type store, especially with all of the residential in that mixed use development. figures right as we move away from the northlake area, they add an aldi. We think Aldi is excellent for a lot of basic staples (milk, eggs, etc.). I think it'll do good business there. 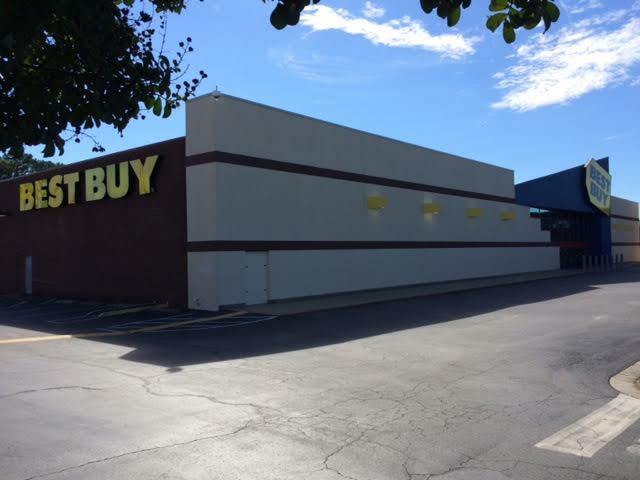 per historicaerials, that Best Buy site was graded and built around 1988-89. I don't recall it being a Big Star. Might be some faulty intel on that one. That parking lot is already a mess. Can't imagine what it will be like with an Aldi. Aldi is a customer of ours and very well run company. Over 1000 new stores in the US in the next 5 years with more to come for Atlanta! I just posted on this blog a week ago that Hobby Lobby should have waited for the Best Buy space with better visibility to open up there. It is just a matter of time before the chain collapses and this is phase 1 of that collapse. Aldi is opening in Calhoun and a couple other Georgia locations in the next couple months. Best Buy is in an identify crisis. I was at Perimeter last week and their appliance section has cut a huge section away for very very high end stuff like Viking and Jenn-Air. Who would buy that stuff at Best Buy and where is the market for that?? Oh boy! Oh boy! All good things come to those who wait decades! 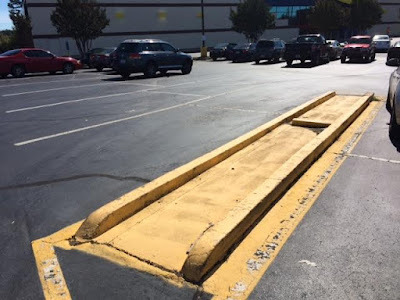 Maybe the new shopping center has caused retail to notice us again. Yes, Best Buy was Big Star first. That was almost 20 years ago. And yes, before that Big Star was located at Briarcliff Village. I hear the shopping center with Hickory House is going to be redeveloped, too. Folks, keep your shopping dollars here to get more good retail coming in. Actually the Best Buy at Northlake was originally a Winn Dixie, not a Big Star. Best Buy was a Big Star when we moved here in 1990 but folded soon after. Hmm, I guess I'll take the word of the anonymouses that it was some kind of grocery store. The A&P and Kroger must have put it out of business. 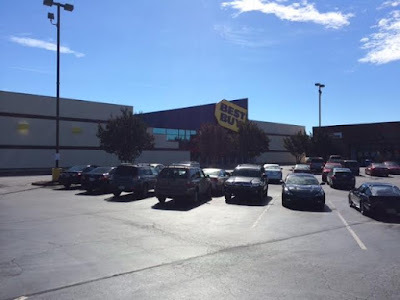 I actually quite like that Best Buy and can't imagine it ceding space to an Aldi or anything else really. The store is bigger than it appears from the outside, but after going through a redesign not too long ago, I can't imagine this 'take some off the top for a grocery store' idea going over well. Mindspringyahoo (and their incredible anagram skills) brings up a good point, though: why can't Aldi take over that old Steak and Ale space? They could open a standalone store and that Steak and Ale could be occupied for the first time since...at least the Clinton administration, if I'm recalling correctly. (I could be wrong.) It just looks really bad to have that old abandoned place looking how it does. Agreed, that parking lot is a mess, very poorly lined. Hopefully the centers owner's will redo it with some logical orientation. Would have preferred a Trader Joe's. Thank God we're moving away...a Dieing Mall, panhandlers, traffic lights that don't change often enough, traffic backups on Henderson Mill Road because people try to avoid spaghetti junction going East on their way home during afternoon rush hour and jump on OUR neighborhood streets to avoid the 285 jam, then jump back on I-285 going East toward Stone Mountain...can't get anyone to help us on any of these fronts. Oh, forgot... and a corrupt County. I am super excited to get an Aldi in Newnan. I have been a loyal customer of Aldi stores while in the military in Germany and am happy not have to drive too far anymore to go to Aldi. They have excellent produce and really good basic groceries. Their prices are good and they have a double money back guarantee. I can't wait until the Aldi gets to Newnan. I will shop there regularly. I'm excited for the Aldi that coming to The North Lake Area. This will be in walking distance for me. I will shop there regularly. I love Aldi.